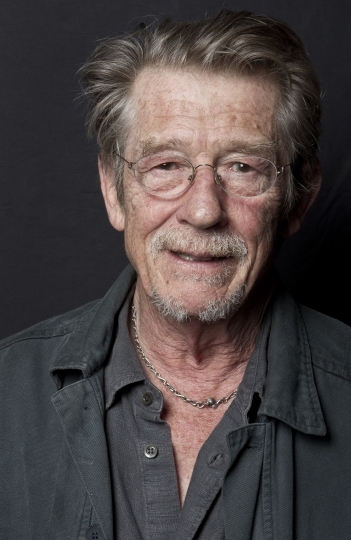 LONDON — As a self-described "old drunk," the actor John Hurt nonetheless had a half-century career highlighted with memorable performances, two Oscar nominations, a Golden Globe and four British BAFTA awards. Success and failure were taken in stride. When the film "Divine Rapture" shut down in 1995 after two weeks of shooting in Ireland, Debra Winger didn't want to talk and Marlon Brando and Johnny Depp had cleared out. The sole customer at the village pub was Hurt, a pint of Guinness in hand, chatting with the bartender about "I, Claudius" and life as a tax exile in County Wicklow. "Nobody's getting paid except Marlon. I really don't see the point of getting angry," he told an Associated Press reporter. "I do see the point of getting drunk." Hurt, 77, died Friday in London, his agent Charles McDonald said. Knighted in 2015, he was described as inspirational, legendary, incomparable. Mia Farrow tweeted that he was one of the "finest actors of our time, and the loveliest person." His Oscar nominations were for playing the tortured John Merrick in David Lynch's "The Elephant Man" and the heroin addict Max in "Midnight Express." Beginning with bit parts in films and television, his breakout came in 1966 as Richard Rich in Fred Zinnemann's "A Man For All Seasons," followed by his portrayal of Caligula in the BBC miniseries "I, Claudius" in 1976. The wiry Hurt brought an uneasy humor to Kane in Ridley Scott's "Alien," immortalized by his disturbing death scene, which Mel Brooks later satirized with Hurt's help in "Spaceballs." "He was a truly magnificent talent," Brooks wrote on Twitter. 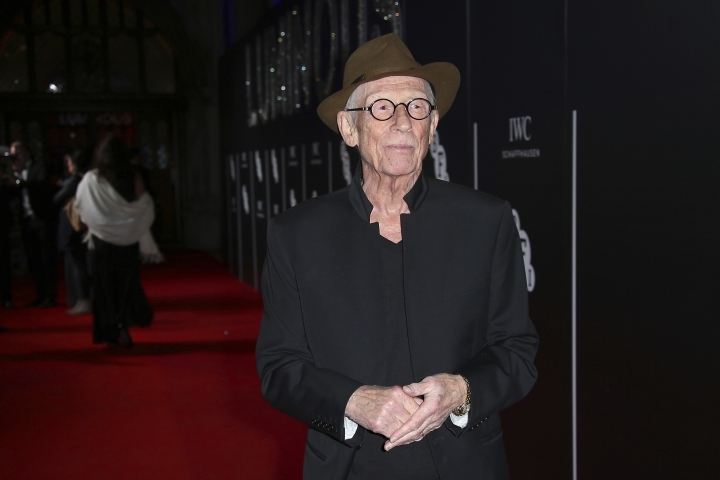 Social media tributes included one from actress Jamie Lee Curtis, who tweeted: "John Hurt. Midnight Express. Nothing better. Ever." Hurt was unrecognizable in perhaps his most memorable role as the lead in "The Elephant Man." He endured eight hours in the makeup chair daily to transform into John Merrick. The elaborate mask prohibited him from sleeping, lying down or even eating while it was on. His would eat his last meal midmorning as the mask was being applied — usually raw eggs mixed in orange juice — and not again until after midnight. "To be quite honest, the film was misery to make because of the physical problems, so if it's working I'm jumping for joy," Hurt said in a 1980 interview. He lost out in the Oscar race to Robert De Niro's performance in "Raging Bull." In the 1975 television film "The Naked Civil Servant," Hurt brought sensitivity and polish to the role of Quentin Crisp, winning a BAFTA award for best actor. He reprised the role for the 2009 film "An Englishman in New York" about Crisp's later life in the U.S.
Hurt also took voice roles in "Watership Down" and as Aragorn in Ralph Bakshi's "The Lord of the Rings." In the "Harry Potter" films, Hurt played the wand-maker Mr. Ollivander. 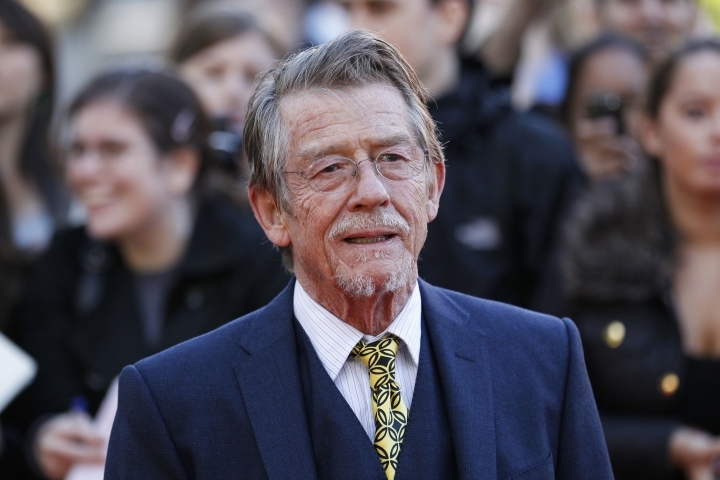 Sites dedicated to the series of books and films exhorted fans to "raise your wands," and the author of the books, JK Rowling, tweeted: "So very sad to hear that the immensely talented and deeply beloved John Hurt has died." Hurt was born in Shirebrook, an English coal-mining village; his father was a Church of England priest and his mother was an engineer and former actress. A stint at the Royal Academy of Dramatic Art launched the young man's stage and screen career. As prolific as ever, Hurt recently appeared alongside his "V for Vendetta" co-star Natalie Portman in the Oscar-nominated film "Jackie" as a priest who consoles the recently widowed first lady. Actress Clare Higgins, who worked with Hurt on the BBC's "Doctor Who," called him "the perfect actor." "John had a real tenderness and gentleness which is quite rare in a male actor," she said on the BBC Breakfast program. Hurt leaves behind a few in-production credits, including Joe Wright's "Darkest Hour," which is listed as still filming. 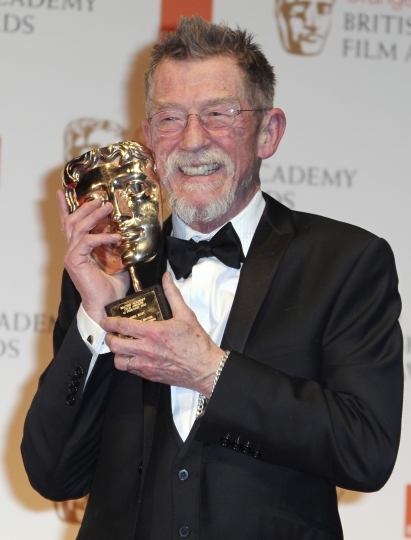 Hurt plays Neville Chamberlain in the film about Winston Churchill's charge against Hitler. Gary Oldman plays Churchill. "I have lots of favorite memories but I can't say that I have a favorite film. I have favorite parts which are not in particularly successful films," Hurt told The Guardian in 2000. "I've been incredibly lucky with the directors I've worked with. You don't realize it at the time, it's just in retrospect if you look back you think, 'Jeez, when I saw that CV it nearly frightened the life out of me.' I thought, 'That's not bad for an old drunk.'" Thrice divorced, Hurt is survived by his fourth wife, Anwen Rees-Myers, and two children from his third marriage. AP writer Lindsay Bahr in Los Angeles contributed to this story. Pogatchnik contributed from Dublin.